Not for the first time, I am wrong. Recently I speculated that losses sustained over past years by the Bentley Motors division of VWAG may cause VW to re-assess its financial support for the marque, and even perhaps reduce its catalogue of models. And develop even more cost-saving measures. 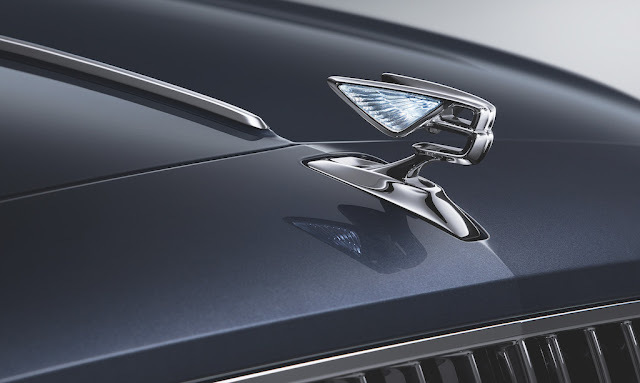 However, today I received details of a big budget spend on a new version of the Bentley Continental Flying Spur sedan, with a teaser 'outline' shot. There were no release details, but I suspect VWAG will hold the introduction until September's IAA (Frankfurt Motor Show), where it can guarantee maximum coverage to try and outflank BMW AG and Daimler AG. Apparently the new Flying Spur will wear a 'collapsible' Flying B badge, much like the Rolls-Royce version - which also was originally created and executed by the Bentley Motors team in Crewe - before Rolls-Royce was taken over by BMW AG.